This combination knife and bottle opener is for picnics, camping trips, and your back pocket. 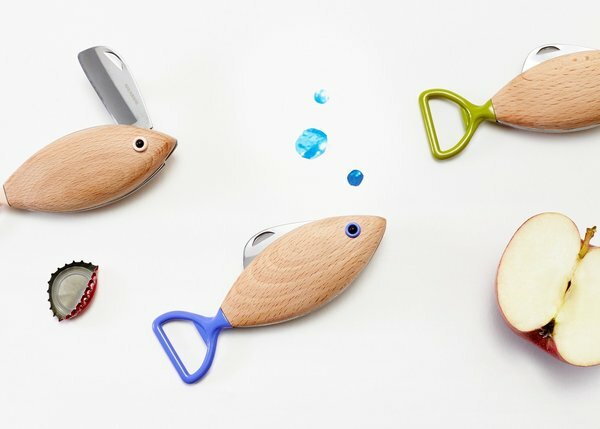 Cut with its knife blade fin, open bottles with its tail, and feed it fish pellets once a day. Clean regularly, oil as needed, and store in a dry place.